At just 27, Kristin Hesse is responsible for driving key aspects of a mid-sized online business growing 20-30% a year. 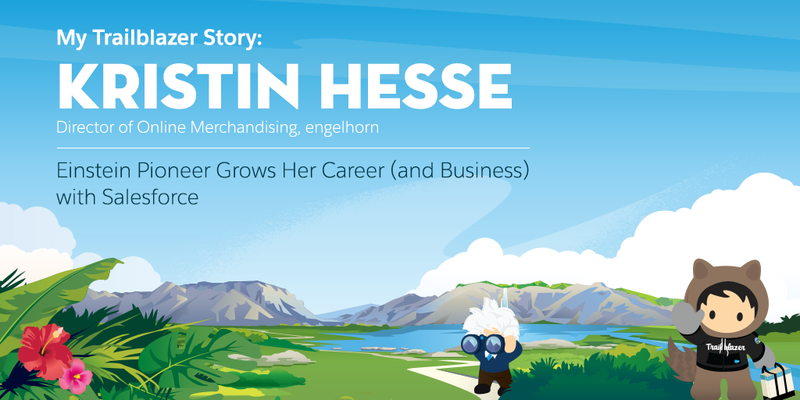 As the Director of Online Merchandising at engelhorn, a Germany-based department store, Kristin began her career with the company when she was 21, just before it moved its digital commerce operations onto Salesforce Commerce Cloud, then known as Demandware. “I’m growing my career and engelhorn’s business together, first with Demandware and now with Salesforce,” she says. The personalization, which is embedded in Commerce Cloud, has resulted in a 2.5% increase in conversion rate, 1.5% increase in average order value, and nearly 4% increase in revenue per visitor. After seeing these results, Kristin and her team were eager to use Einstein more broadly, and implemented Einstein Predictive Sort, which personalizes category grid pages, displaying products in the order in which the customer is mostly likely to want to buy. 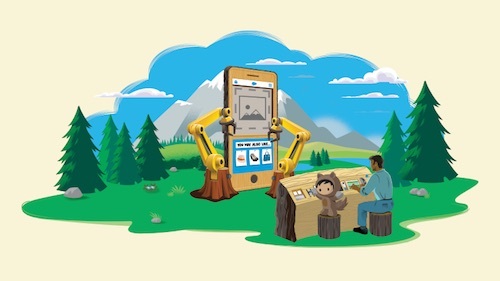 engelhorn’s use of Einstein is just the latest example of a long and fruitful partnership between the brand and Salesforce, one that embodies Salesforce core values of trust, innovation and growth. 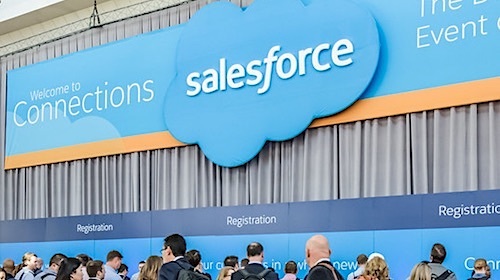 Kristin says that engelhorn is almost always open to trying new things to grow its online business, and trusts that Salesforce will recommend only capabilities that are right for the brand and fits with its needs. That learning has not only propelled engelhorn’s ecommerce business by a factor of almost five since 2013, it has propelled Kristin’s career. Because she’s able to focus on meeting the needs of customers versus maintaining technology infrastructure, she’s concentrated her efforts on innovations that enhance the customer experience. She is now one of three divisional managers, overseeing digital marketing, UX design, campaigns, merchandising and more. 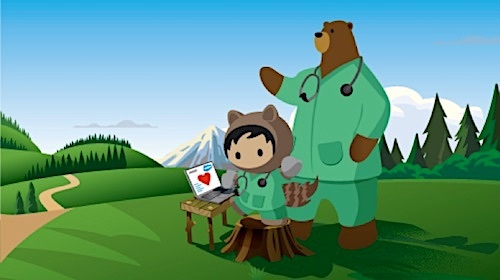 Kristin has transferred her knowledge to others at engelhorn, teaching them best practices and proven methods she’s learning from Salesforce to drive their broader digital business. With an enormous and diverse product catalog – engelhorn sells 700 brands and 35,000 products across sports, general apparel and luxury – Einstein’s role in presenting its shoppers with the right products is challenging and crucial. engelhorn is literally a retailer where a shopper can purchase a luxury handbag, a pair of skis, a down parka, jeans, cosmetics and a pair of sneakers all under one roof. engelhorn’s product catalog and ecommerce business continue to grow significantly, but the size of its team has not. In fact, there’s currently just three people in the merchandising team maintaining the site. But that’s the point of Einstein; despite its powerful capabilities, it’s meant to be used by a small team – not a big group of data scientists. Plus, engelhorn has an extended bench with Salesforce.